The phrase “cancer does not discriminate” gets thrown around quite a bit. It comes from a good place –– the idea that cancer is everyone’s problem and that whether you are rich or poor, black or white, that you too are at risk of cancer and should care about finding a cure. But here’s the thing: prostate cancer DOES discriminate. Men of African descent in the U.S. and Caribbean have the highest documented prostate cancer incidence rates in the world. 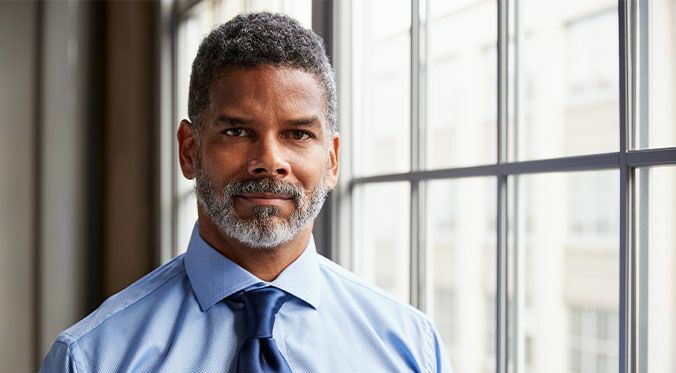 African American men are 76% more likely to develop prostate cancer than Caucasian men and are more than twice as likely to die from the disease. That means that 1 in 6 African American men will be diagnosed with prostate cancer, and for non-African American men that likelihood is 1 in 9. It is important that we acknowledge this disparity because only by acknowledging it can we work to eliminate it. However, though we know that African American men are significantly more at risk for prostate cancer, what we currently do not know is why. While scientists have not yet cracked the code as to exactly why African American men are at higher risk for prostate cancer, there are some theories. It is widely believed that a combination of genetics (a factor we know to be the culprit for many diagnosed with cancer), access to care (we know that African American men are less likely to receive surgical treatment than white men with similar disease characteristics), lifestyle, and nutrition habits are the main causes. In order to get a fuller understanding as to why this disparity exists, we launched the PCF African American Research Initiative. This is an initiative which supports researchers who are seeking concrete answers to this important question: why are African American men at higher risk? From there, we can work on decreasing the rate of prostate cancer not only in black men, but all men. We are not completely helpless against these odds. Even now, there are steps you can take to reduce your risk of prostate cancer and death from prostate cancer. If you are an African American male, talk to your doctor about getting screened at age 40. Early detection is key to preventing death from prostate cancer. Most importantly, we must continue to talk about this issue. There is nothing taboo about wanting your loved ones to live. Awareness is our first line of defense against prostate cancer. To learn more, download our guide for African American men here.